Like the old boy says, “The older we get, the less it takes to keep us busy.” Time can easily get away from us and we sometimes find that we have let too much of it slip away without seeing old friends. It might take some courage and planning to make that call and take that drive, but reconnecting can be a positive thing. Our old friends may have aged the way we have, or less, or more, and there is likely to be the ‘organ recital’ of detailing our health issues for each other. A couple of hours of catching up with family and mutual friends might be good for everyone even if all the news is not good. On any day this time of the year a venture out into seldom seen countryside is a chance to be dazzled by the subtle winter colors. Riding the ridges on the way back gives us a chance to process the new information and to marvel at the waving red-gold grasses, the green-gold carpeted acres dotted with cows and ponds, hemmed in and skirted by gray and green woods all the way to the blue hills on the horizon. Top it off with the joy of arriving home again and there is a Champion Sunday afternoon! Sunday evening the Douglas County Extension Center held its annual dinner and the old boy delivering the keynote address was Wes Davis. One hundred nineteen Ava sixth graders know him as their science teacher and a couple of adorable one year olds know him as Dad. He talked about the Agricultural Stewardship Assurance Program, giving the group some good information about sustainability and some good laughs. There will be stories told about him off in the future—old boy stories. Skyline School birthdays include Willow Townsend, first grader on the 15th, the wonderful Ms. Helen Batten on March 16th, and seventh grader Myla Sarginson on the 18th. Others reveling on the Ides of March are Six Foot Sam, an alumni of Skyline now a fiddling Scotsman, Jacob Masters who will be 16 and is a baseball star in Texas, and the fair Irish lass, Ursula, mother of Demetri. Gordon Reynolds celebrates on the22nd. Don Powell and the lovely Elva Upshaw share the 23rd with Judie Pennington, who has seen a bear up on Tar Button Road. Don Bishop also celebrates on the 23rd, but he jumped the gun and had a fishing expedition with a grandson that is sure to amount to great birthday memories for both of them. 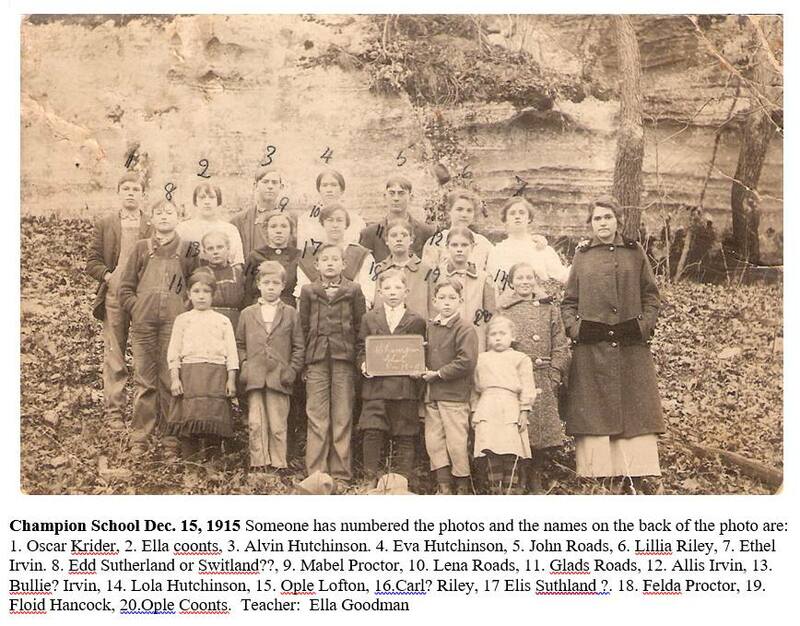 Meanwhile, Reba was busy posting a picture on the internet of Champion School students and staff taken November 30, 1916. Go to www.championnews.us to get a look at it. It is full of familiar names that will ring bells with Champions. Helen Batten writes from Skyline that the school plans to host a forum on March 19th at 6:30 to talk to school board candidates. “We have sent a letter out to invite them and they plan to attend. Deborah Barker will moderate the event and Terri Ryan will be timer. We will have a prepared list of questions and each candidate will be able to speak. The community is invited to bring written questions if possible. There will be high school students available to watch a movie with the younger children. PTO is providing coffee, water and cookies.” Helen also reports, “We are having another ‘Fun Run’ April 13th and we are calling it a ‘Donut Dash.’” More information will be coming out about that soon. Last year’s event was a lot of fun even for people who just watched the runners arrive at the finish line. Reports are that Bertie and The Boys brought the house down in a performance at Roy’s Store in Dora on Saturday night. There was a fine fish dinner and pie, pie, pie. The banjo player favors banana cream pie, and that old man who really can play the mandolin is a strawberry rhubarb fan. Roberta has a beautiful voice, a great repertory and some fine musical friends—Dave, Dennis, Montana, Terry, and Teddy—The Boys. This success surely guarantees a repeat performance and when that happens, efforts will be made to get the word out early for pie and music lovers. Another favorite local musician, Sharry Lovan, had an argument with her cedar chest on Sunday morning. She wound up with a broken little toe. There is no indication that the cedar chest felt a thing. Sharry did get her bed made and did get the sympathy and commiseration of many friends. She has a big show scheduled for the Saturday, the 16th, at the beautiful Star Theatre in Willow Springs. The show must go on! It will. Sharry is a trouper. One Old Champion has been having an eye caught by a brilliant blue or a flash of silver or red along the roadside as well as by a bright flapping white. The white is a plastic bag, and the bright colors soda and beer cans and plastic bottles. For a while she has been on her high horse about a fellow who frequently walks to the city center, passing this litter every time without seeing it or without caring. But she has not stopped to pick it up either. So she has decided to dismount the high horse and do a little righteous litter picking. They say people are more apt to litter if there is litter present already, so the exercise might be preventative as well as curative. Another Old Champion argues that a floorboard full of beer cans might represent an issue at a traffic stop. Drive safely on your way down to the wide, wild, wooly banks of Auld Fox Creek. Champion! Looking on the Bright Side! The new normal for weather is unusual. It seems that is the way it will be from now on. Being well, warm and content is a circumstance that evokes gratitude among Champions all year long in all kinds of weather. We just take what we get and are pleased that it is not worse. Particularly this is so when we look at others not so far away in every direction who are not faring nearly so well. One of those climate change activists recently said that it will not just be the coastal areas affected, so those newcomers to the Ozarks thinking this will be the new coast in a few years, too bad. You are in it with the rest of us. But, welcome. It looks like this will be a challenge for the young folks. Old Champions wish you much good luck at the same time some of us apologize for not understanding the situation sooner. Sixteen year old Greta Thunberg has stepped up to be one of the leaders of her generation to address the situation. She lives in Sweden where she is also experiencing unusual weather. One hundred sixteen young people came to Skyline on Saturday for the State Qualifying Archery Tournament. They came from Gainesville, Cabool, Manes, Mountain Grove and Norwood to join our great archers for this event. It is nice to have a sport where girls and boys regardless of age or size can compete together. Each individual is really competing with him/herself. It is the quiet kind of excitement, punctuated with thumps, that observers can enjoy. The good coffee, brownies, and Frito pie help. The eighth grade class ran the concession stand and the report is they have passed their goal for funding their class trip and are now applying the profits to their graduation expenses. Skyline’s Joshua Garner qualified to go to the state tournament and placed second in the Middle School Male Division. Heidy Strong placed third in the Middle School Female Division and Gracie Nava placed third in the Elementary Female Division. Congratulations to you Skyline Champions! Violet is a chicken. She is a hen who had an injury early in life that caused her to have only one good leg. She has lived a long time and has made at least one really good friend, Bailey. 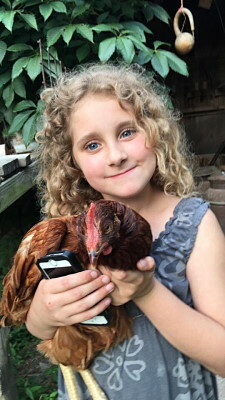 On a recent visit, Bailey pointed out that Violet has grown some rooster feathers. She had a plausible scientific explanation about how it happened. Bailey’s birthday is March 9th. She is a middle school student in Portland, Oregon. She shares her birthday with local broom-maker, Kay Dennis. Brice King is in the second grade. His birthday is March 10th. Mrs. Casper is the great music/art teacher at Skyline, responsible for wonderful school musicals. Her birthday is March 12th. That was also the birthday of a favorite Champion who passed away a few years ago. He was called a risk-taker and was much respected for his keen eye and many skills. On March 4th, people often say, “March forth!” March has come in like a lion and is about to spring forward on the 10th of the month. On the 14th we can celebrate Pi Day (3.1415926535 etc. ad infinitum) and explore infinity. On March 15th we can think about the soothsayer having warned Caesar about the Ides of March. That is according to Shakespeare who also had Macbeth thinking about glum things that seem oddly appropriate now citing “A poor player that struts and frets his hour upon the stage, and then is heard no more. It is a tale told by an idiot, full of sound and fury signifying nothing.” Mardi Gras is going on in Louisiana and other places and Ash Wednesday is the duo-birthday of an old Champion couple who now have a combined age of 152 years. Meanwhile Spring will arrive on March 20th. Champions are ready. Snowbirds from Wyoming are hoping that the Champion Spring Fling will happen before the first of May since that is their departure date. The Fling date is to be set by The Prominent Champion Spouse, who has a big day planned on March 28th. She is much loved and her friends all hope that day goes well for her and that she will be ready to party before the snowbirds fly. “The snowbird sings the song he always sings and speaks to me of flowers that will bloom again in spring” in Champion—Looking on the Bright Side! Last week mud was the topic of conversation around the tables in the meeting room at the Historic Emporium on the North Side of the Square in Downtown Champion. Epic tales of being rescued from mud, sinking in mud and other dirty stories brought out the laughter. Bob said Ethel has good mud boots. She is the opener and closer of gates, allowing them to feed and tend their cattle. She is indispensable. This week the discussion will be about the wind. “They Call the Wind Maria.” There were a great number of things “Blowing in the Wind.” The stories that will breeze in this Wednesday will be “Wild as the Wind” and will all be accompanied by gusts of gratitude. The whole country is subject to weather related difficulties. Living out on the surface of the Earth makes us vulnerable no matter what we look like, how much money we have, how we worship, or what our political affiliations and world view may be. Terri Ryan, Skyline’s officer of positivity, has introduced us to Amy Weatherly who said that some people could be given an entire field of roses and only see the thorns in it. Others could be given a single weed and only see the wildflower in it. Perception is a key component to gratitude. And gratitude, according to Ms. Weatherly, is a key component to joy. Another exciting archery tournament is scheduled for Saturday, March 2nd at Skyline School. These events are held in the gym, so the cold weather expected should not cause a problem as long as roads are clear and it is safe to travel. Students from all around the area will participate in the competition. The whole community is welcome to observe quietly from the bleachers. The eighth grade class will operate a concession stand, the proceeds of which will help them on their way to their class trip in the spring. Meanwhile, enjoy these talented young people as they hone their skills on Saturday. 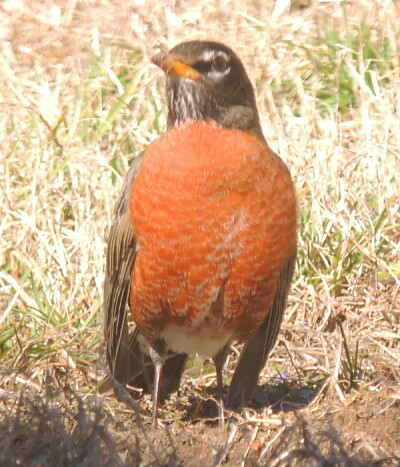 Robins strut around a Champion yard like they own the place. We know they are harbingers of Spring and that it is due to arrive on March 20th. Gardeners are getting busy with plans—what to plant, how much and where. They will wait for the manure hauling until the mud subsides. In the interim they have time to wonder if it is true that the Missouri Senate can really reverse a decision made by voters in November when they overwhelmingly approved a Constitutional amendment known as “Clean Missouri” with more than sixty per cent of the vote. Senate Bill 132 starts the undoing of the provisions for change that the voters called for. Why bother voting? That is a question that may come up again. Someone recently said that we have been cautioned so often about not discussing religion and politics that we have forgotten how to have a civil conversation about religion and politics. Try it if you like, or talk about the mud, the wind, the garden, your grandchildren or your favorite song. Bloody Mary sang a good one to American lieutenant Joe Cable back in 1949, but some like Ella Fitzgerald’s version better: “Happy talk, keep talking happy talk. Talk about things you like to do. You’ve gotta have a dream, if you don’t have a dream, how you gonna have a dream come true?” in Champion—Looking on the Bright Side! They all think they are Sycamores. It seemed suddenly Sunday that all the bare trees had become sycamores. The beautiful sycamores gleam white against the backdrop of cedars and pines and reach up majestically from mustard colored grasses. The thin icing of each branch and twig on oak, walnut, elm and sassafras, hackberry, ash, redbud, and dogwood transformed them all to stately sycamores. It is a trick of the light to delight, and to those who can enjoy it through our windows, a beautiful sight in Champion! Buzzards have returned to the area. A couple of them were spotted soaring over in Vanzant on Monday and several are roosting in Orville’s barn over on Cold Springs Road. They are not particularly attractive, but they perform an important function in nature. At this time of the year they are much appreciated as harbingers of spring, even on a frozen perch. Travelers to town on Monday were dazzled by the sun glinting on the ice coating almost everything. 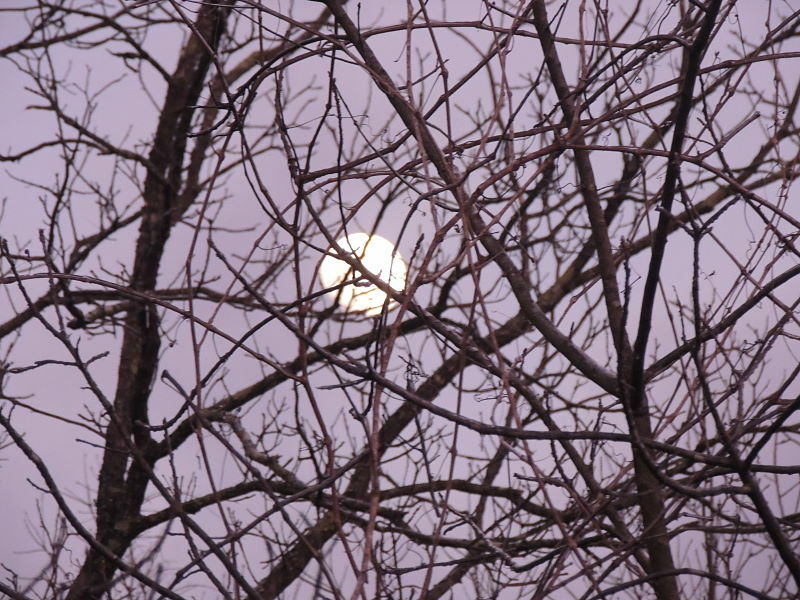 February has been a wild weather month—sunny and hot, rainy and dreary, now freezing and slick with a ring around the moon. “Thunder in February—frost in May,” is the old saying that has proven out over the years in this part of the world. Seeds are showing up on store shelves and that lifts the spirits of winter weary gardeners. In a few months the oppressive heat will be the subject of the conversation. “Hot rolls or chocolate cake for Valentine’s?” she asked him. “Hot rolls,” he replied, and she made them, smiling at the flowers and candy and the card from him, still romantic after sixty years together. Lena said that one of the nicest Valentine’s gifts she had received from Jerry over the years was a weed-eater. It is the thought that counts. Sometimes he smiles at her and sings, “I love you just the way you are, I wouldn’t change you if I could.” Ricky Skaggs does that tune too, but he is not looking at Lena when he does it. It was Sweethearts on Parade at the Vanzant Jam on Thursday and all over the whole country. A day devoted to love and affection is just what we need at this juncture. It was a treat to have Sharry Lovan and Jack at the jam. They did not come on their motorcycles as they sometimes do when they visit Champion. Sharry has great things going on at the Star Theatre in Willow Springs and is about to record a CD in Branson. 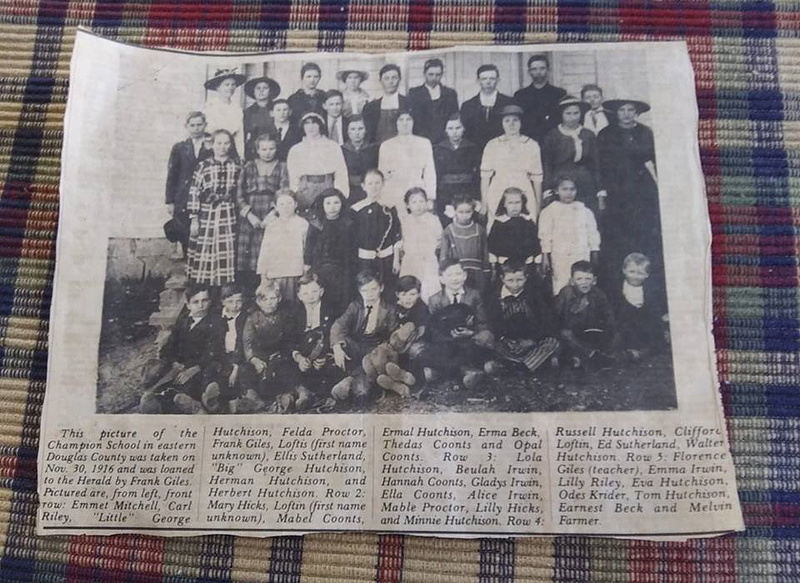 She grew up singing gospel songs with her family in about every little country church in the area. She said they tied the bass fiddle to the top of the car and off they would go. Plans are perking for the Champion Spring Fling—date to be announced–and we will hope to see them here again. There will be picking and singing out on the wide veranda at the Historic Emporium and under the big oak tree that is the sign post for Lonnie Krider Memorial Drive in Downtown Champion. Music has such therapeutic properties. Somewhere between the cold medicine from the pharmacy isle at Henson’s Downtown G & G and the Thursday jam, The General showed dramatic signs of improvement over his cold. 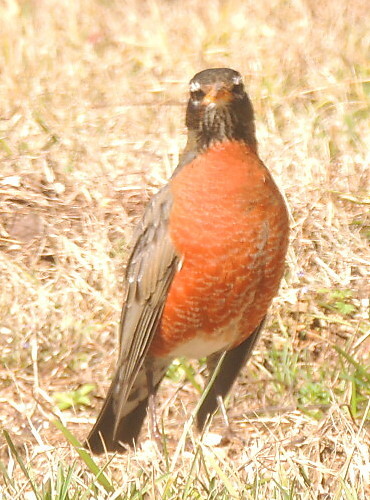 He reported having seen geese flying toward the southeast on Sunday. Skyline School students and teachers are busy. President’s Day and bad weather days have given them some time off, which is a good thing, but they will have to make that time up later, which is another good thing. Among the exciting things going on is another archery tournament. This one will occur on Saturday, March 2nd. The eighth grade class will have a concession stand, the proceeds from which will help them make a class trip to Silver Dollar City later in the year. Watching these talented, disciplined young people exhibit their considerable skill is an encouraging exercise for people who might spend too much time concerned over current events. We are reminded of that famous quote, “Real power is—I don’t even want to use the word—fear.” These young folks are not afraid and that is reassuring. They are gaining self-reliance and developing the critical thinking skills that will allow them to navigate the increasingly complicated world they will inherit. “May you live in interesting times” was thought to be an old Chinese curse, but it turns out that it may be attributed to a British Ambassador to China in 1936. Even though these days may remind us of what things were like in 1928 or 1936, we are, in today’s parlance, ‘chill’ here in Champion– Looking on the Bright Side!